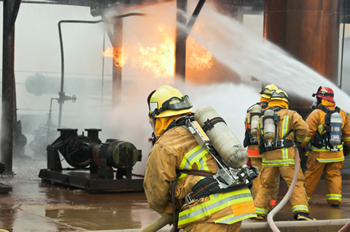 Major accidents involving dangerous chemicals pose a significant threat to humans and the environment. Furthermore such accidents cause huge economic losses and disrupt sustainable growth. However, the use of large amounts of dangerous chemicals is unavoidable in some industry sectors which are vital for a modern industrialised society. To minimise the associated risks, measures are necessary to prevent major accidents and to ensure appropriate preparedness and response should such accidents nevertheless happen. In Europe, the catastrophic accident in the Italian town of Seveso in1976 prompted the adoption of legislation on the prevention and control of such accidents. The so-called Seveso-Directive (Directive 82/501/EEC) was later amended in view of the lessons learned from later accidents such as Bhopal, Toulouse or Enschede resulting into Seveso-II (Directive 96/82/EC). In 2012 Seveso-III (Directive 2012/18/EU) was adopted taking into account, amongst others, the changes in the Union legislation on the classification of chemicals and increased rights for citizens to access information and justice. The Directive applies to more than 12 000 industrial establishments in the European Union where dangerous substances are used or stored in large quantities, mainly in the chemical and petrochemical industry, as well as in fuel wholesale and storage (incl. LPG and LNG) sectors. 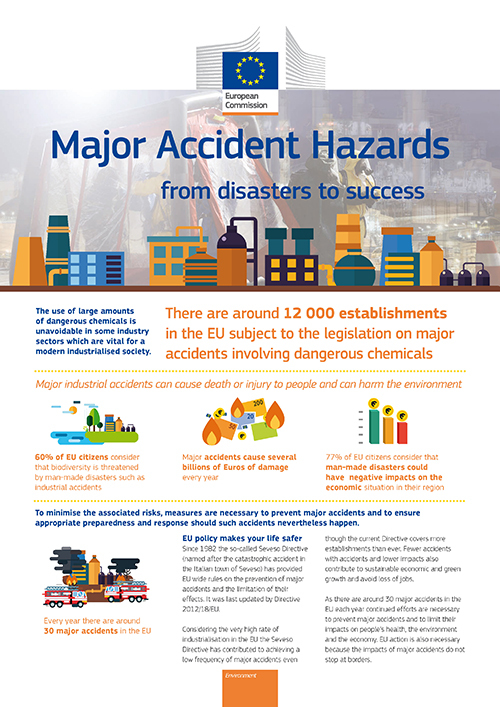 Considering the very high rate of industrialisation in the European Union the Seveso Directive has contributed to achieving a low frequency of major accidents. The Directive is widely considered as a benchmark for industrial accident policy and has been a role model for legislation in many countries world-wide. Safety of offshore oil and gas operations. The legislation section provides a more extensive description of the requirements included in the Seveso Directive. Our public CIRCABC interest group contains a wealth of documents related to the Seveso Directive. You will find there, amongst others, information and guidance documents, related studies and reports, workshop and seminar documentation as well as links to national authorities and other useful websites. The Minerva portal of the Major Accident Hazards Bureau at the European Commission's Joint Research Centre provides a collection of technical information and tools supporting the major accident hazards policy. It also hosts the eSPIRS database with the establishments covered by the Seveso Directive and the eMARS database which includes reports of major accidents.